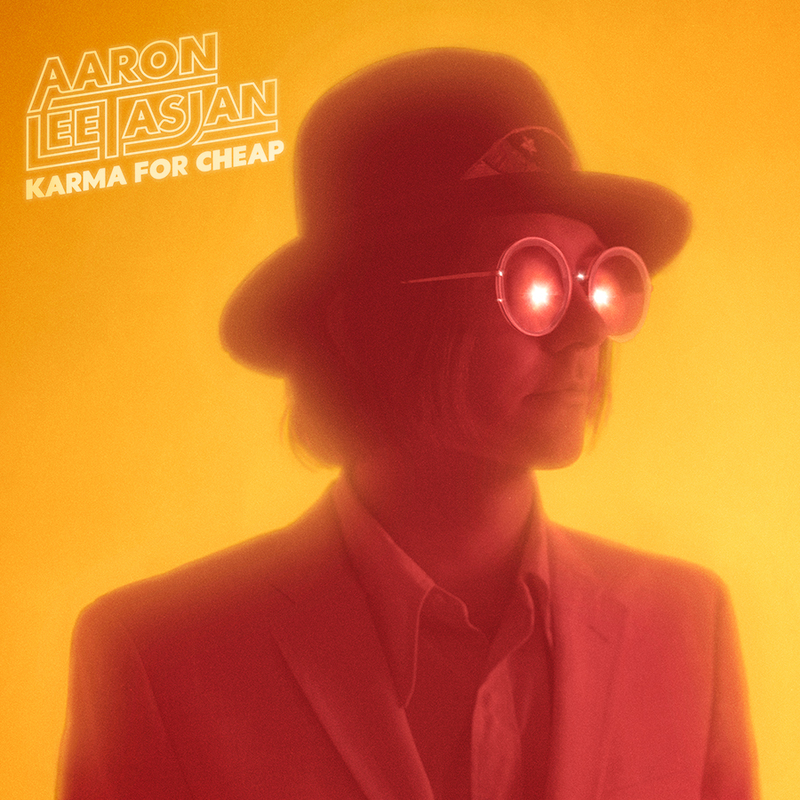 Epiphone.com continues our on-going conversation with Ohio native and East Nashville music hero Aaron Lee Tasjan who is celebrating the release of his new album, Karma for Cheap, which rocks, pops, and folks with his trademark sparkling guitar lines and inspired songwriting. 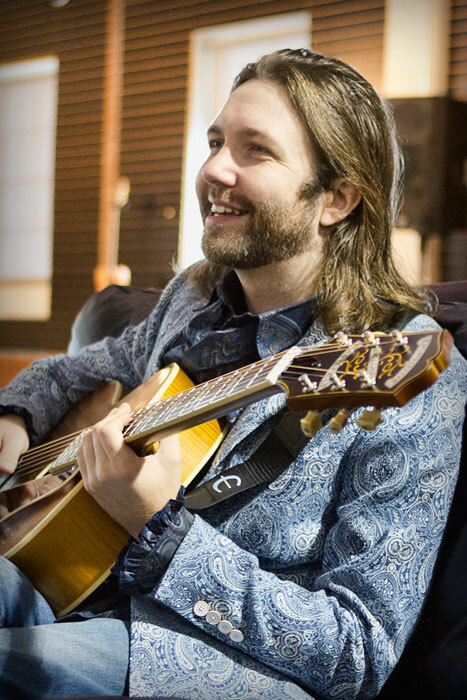 We first met Tasjan last year when he stopped by the Epiphone showroom to pick up a Masterbilt Century De Luxe ("This is such a terrific guitar.") Since then, Tasjan's career has blossomed and he is rightfully enjoying the attention of the music press who have noted his fresh take on classic Americana sounds. If anyone can make the jump from clubs to theaters in the over-crowded genre, Mr. Tasjan might just be the man to pull it off. 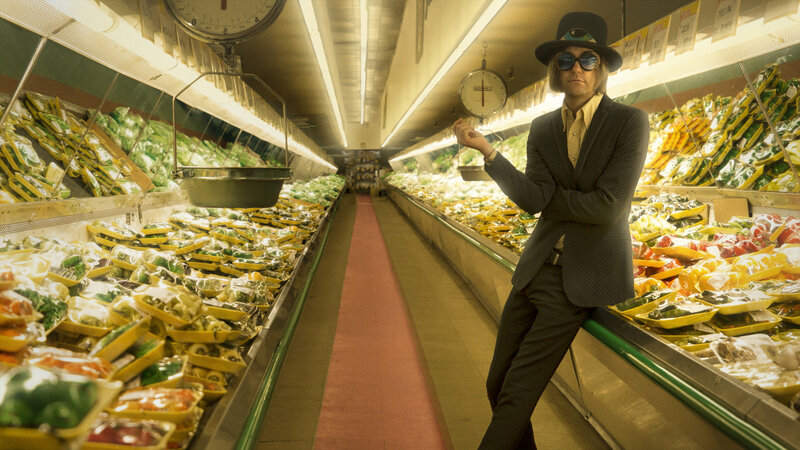 I spoke with him over coffee near his home on the 'East Side,' which over the last five years has become a mecca for hopeful songwriters and bands trying to break in to Nashville’s music scene. Visit Tasjan's website for tour info. Thanks for speaking with us again, Aaron. Your new album, Karma for Cheap, is your third full-length release. Did you put yourself under any pressure this time to try to push yourself forward? I ask because a lot of artists –and their labels, too—consider third albums to be a critical juncture in an artist’s career. Yeah, the third record thing is definitely tricky. I tried not to think about it. If you know the history of music, you’re like, man: Petty’s third album was Damn the Torpedoes, Bruce (Springsteen)’s third record was Born to Run. Patty Smith’s third record had “Because the Night” on it. I think you feel sometimes like if you pay too much attention to that stuff there’s some sort of insurmountable hill to climb. But I tried really hard to not to think about it and just make a record that felt honest and felt like something I wanted to sing every night. Is there a song on Karma for Cheap that you feel set the tone for the album? I would say initially it was a song called “If Not Now, When” which is now the first song on the record. That was kind of the one that everybody--at least at the label-- seemed to be excited about. The one where I really felt like we were on to something was a song called “Heart Slows Down,” which we recorded a number of different ways. I changed some of the harmony and some of the words to it as well. And the final time that we did that one, it felt like at that point we were onto something pretty fresh. That’s what I’m really looking for--something that feels invigorating to play and to listen back to. Because it’s hard right now to do anything that someone would consider original in any way (laughs). As you’ve become better known and you get booked into larger venues, do you ever find yourself thinking: I need a good rocker or I need a big ballad that will work in a big venue. Rather than just be inspired by what’s around you. Yeah (laughs)! Playing those rooms has definitely inspired me to leave more space in terms of the song itself, the melody, the amount of words. But also, too, in the guitar stuff because you’re in those little clubs and you can zip around the neck and it feels like you’re doing something. But all of that just gets lost in those bigger places. There’s more space for the sound to travel. You find yourself looking for different ways to connect. For me, the more effective way has just been to try to simplify stuff and make it seem smaller on the surface so when it’s in a different environment it still translates and feels like there’s some kinetic energy to it. How has the reception been for Karma for Cheap? So far it’s been really good. There’s been some mixed reviews of the record. It’s true, they can be kind of interesting and I sort of feel like when you start to do something that effects people in a more primal way, they are using their innate musical sense to pick up on it. You’re gonna end up putting some people on one side of the line or the other. All of your records are very different in style and sound. Are you ever surprised what your audiences expect of you? Perhaps some go for the rockers and some for the folk styles. I am. Because my first record was very folksy. I would definitely call it a full-on Americana album. It can be confusing for people. Even the label will sometimes say: We miss when you were a folk singer (laughs). Or whatever. I think I try really hard to take the cheers and the jeers with at least a little bit of a grain of salt and try not to believe either one of them too much. I think that there’s truth in each: it’s someone else’s truth. You can’t allow it to become your own. Otherwise, you start getting into a slippery place I think. I just try really hard to focus on doing something that feels different and new in someway. I’ve grown up all over the place. I was born in Delaware and then my family--when I was really young--moved to Southern California. But I say I’m from Ohio because mainly I was there for almost a decade. A town called New Albany, north of Columbus. What grounds you as a person and an artist? Do you feel you have to smuggle your artistic-side through the strange attention that comes with having a new record out and going on tour? I think we all have different things that we do to protect ourselves in certain moments. Some of them can become bad habits if you’re not careful. You build these kind of defense mechanisms and you’re not really giving the other thing a chance. And that’s the thing you’re looking for--ways to invest in this strange situation that is allowing you to have a platform to share music with people. And you’re looking for ways to invest in it that don’t corrupt the essence of the beauty of what all that means and entails. I just try to think of everybody. They tell you when you have to do public speaking to go up there and picture the audience in their underwear. I try to picture whoever I’m talking to in their underwear but I picture myself in my underwear, too (laughs). I just try to do whatever I can to get on the same level and have some kind of honest conversation. The latest and unfortunately posthumous Richard Swift record called The Hex. It’s just blowing my mind. And doing all the things you hope a great record will do. Parts of it are really devastating because I was a huge fan of his. I met him a few times though we never got to work together. That record is personal in a lot of ways. That guy put sounds together in such an interesting way. I love his production. Liz Cooper and the Stampede is a really cool band on the scene that I like a lot. There’s another band here in town called Microwave Mountain. I’m kind of a sucker for stoner rock and they are like a really great stoner rock band (laughs). Do you feel like you tend to reach more for contemporary music for inspiration? It’s a mix for sure. Last night we were sitting in our apartment at midnight or so and we just pulled out every Beatles record from our record collection and just started going through them. Songwriter typically start off learning to sing and record using very basic forms of recording. For my generation it was a multi-track cassette deck. Today, musicians use their phones. Do you find that when you’re in a studio and hearing your music coming back to you in hi fidelity do you find that distracting or is it inspiring? Is the studio a creative environment for you. Some people love it—others wait until the very last minute. I used to be super afraid of it. I think that was because I was always finding myself in these situations where someone said: Ok—there’s $1,200, you got two days, don’t screw this up! When was the first time that happened? So there was kind of a history of that and then once I met my friend Eli Thompson who produced both In the Blazes and Silver Tears, and he was in the Songs of National Freedom with Swift and made a lot of those solo records with him…he just just had this attitude of: this isn’t supposed to be hard. If this is too hard, you’re thinking about it too much. You really just need to go in there and create something off the top of your head. So learning more of that approach started to make me more interested in just spending time in the studio because then it became about making some interesting puzzle where all of the pieces didn’t necessarily come out of the same box. But he found a way to put it together so that when you looked at it at the end you thought: Oh this is a really cool picture. I’ve spent more time recently –the last year probably –just constantly recording because I’m having a lot of fun doing it for the first time ever. I think moving forward, I’m just going to record as much as I can. I think for a lot of bands, the more gigs you do on the road, the better the band gets. I feel like the same applies the same for me, at least with recording. 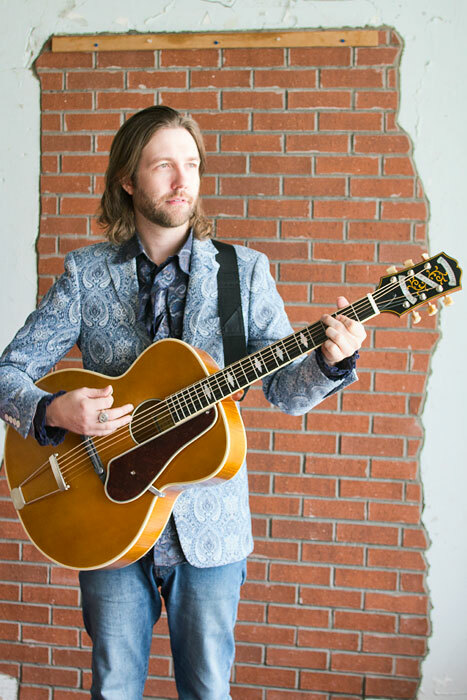 When we met last spring, you had just picked up an Epiphone Masterbilt De Luxe. How that you’ve had it for awhile, how is it working for you? I love it. Such a cool guitar. I wish I had that guitar when I was in high school. I used to do the big band thing. I had a Guild Manhattan and put really heavy strings on it and that kind of did the job. 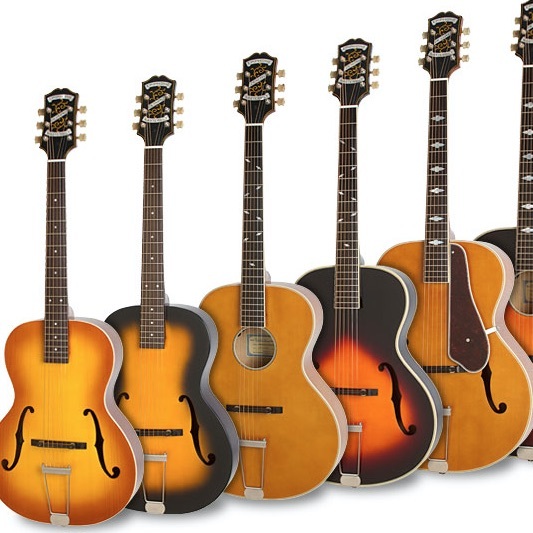 But when you start playing Freddie Green or the gypsy stuff on the Masterbilt Century, it’s the perfect guitar. And then you go to solo and you don’t even have to try because it’s got that giant body and that soundhole. It just speaks over everything. It’s really cool. 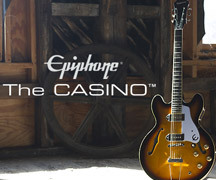 What other Epiphone’s are you bringing on tour? I play a Casino. Such a great guitar. I also have an Epiphone 335. But the Casino-- just the way that it’s built and the scale that it’s on and the way the neck feels to me- --is pretty perfect for my style. And then I also have a Epiphone three pickup SG—a Mary Ford and Les Paul vibe. I got that from the sound guy from Drivin’ and Cryin’. It sounds really great for slide. 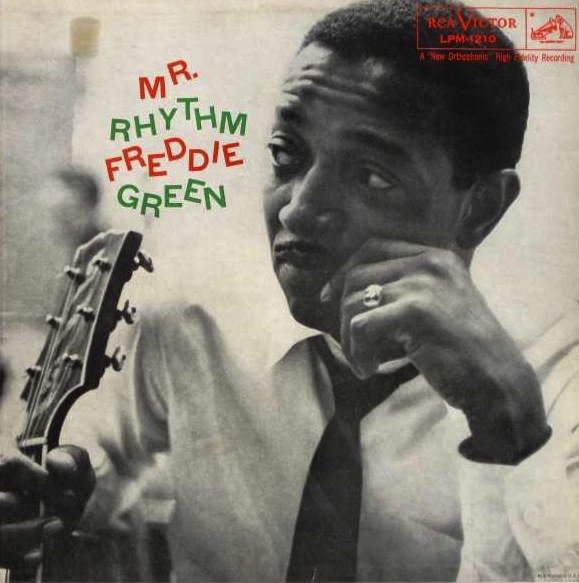 Maybe some of your fans would be surprised to hear you mention Freddie Green from the Count Basie Orchestra. How did learn jazz? Through my Dad. My dad was a bass trombone player-–not professionally. He played in big bands in college. My Dad’s favorite guitarist was Wes Montgomery and he started playing me Wes’ music as a kid before I ever started playing guitar. And then once I started playing, he showed me Grant Green and the Count Basie Orchestra, who had Freddie Green. He said: You really have to listen but you’ll hear the guitar over this whole band. And he’s doing chords but he’s also doing something very rhythmic that’s helping the rhythm section develop what they’re doing. All I thought about in terms of rhythm guitar at that point was probably like, the part that John Lennon plays on “All My Loving.” That gave me a new window or a new idea of how a guitar can function in a band. Do you see making a record with that propulsive style of guitar? I definitely do. That’s the thing. I never want to get myself in a trap where I have to make the same record over and over again. All of my favorite musicians never really did that. Not that I don’t respect it but, unless you’re AC/DC and you have Malcolm Young in your band, it’s probably not going to work every time. But I have ambitions to make all kinds of records but definitely one that is driven by acoustic rhythm guitar. Just because when I hear it and I hear it done really well—nothing quite gets me like that. I’ve been listening to Steve Forbert’s “All Your Rainbow Dreams.” And the acoustic guitar playing is so perfect. It’s got the right sound and the way he rakes a pick across the strings—I could listen to that all day! 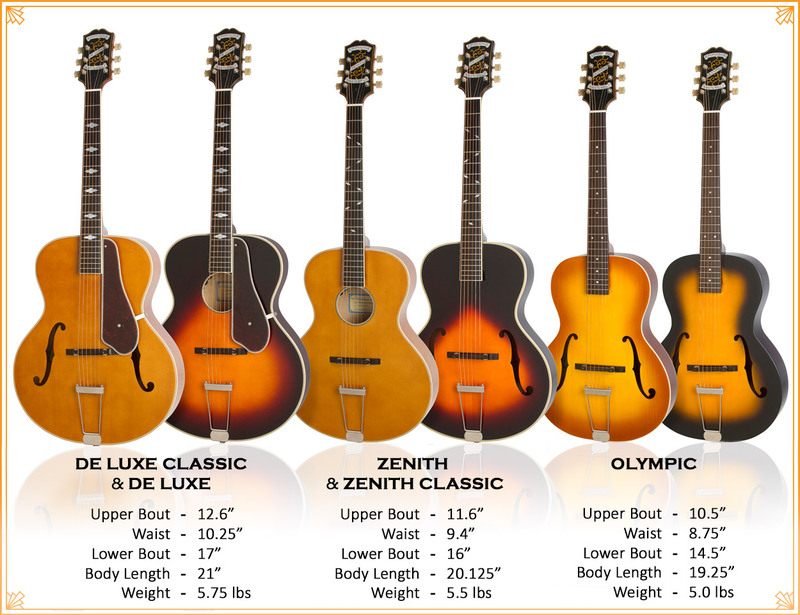 Explore the Masterbilt Century lineup here.